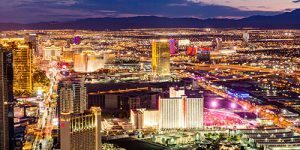 Each year more than 1.7 million Canadians visit Nevada and take advantage of the incredible nightlife, entertainment and services this great state has to offer. In the process, they spend some $1.4 billion a year in the local economy. Cirque du Soleil, Celine Dion, and Shania Twain are Canadian icons and, now, fixtures of The Strip, helping to power Las Vegas’ tourism industry. From tourist-transporting airlines such as Air Canada and WestJet— the largest international carrier to Las Vegas—to financial institutions such as RBC Wealth Management and real estate businesses such as Avison Young, Canadian companies are key players in Nevada’s vibrant service sector. Canada and Nevada are both mineral-rich geographies which benefit from our proximity and close relationship with each other. There are dozens of Canadian mining operations in Nevada. One of Canada’s largest mining corporations, Barrick Gold North America, has been a participating in Nevada’s economy for 30 years. Barrick also runs its entire international information technology operation from its office in Henderson. 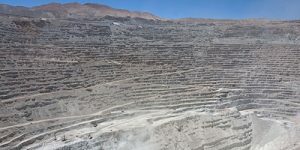 Canadian mining companies including Nevada Clean Magnesium, West Kirkland Mining, and NuLegacy Gold are all part of Nevada’s northern landscape. Canadian mining companies employ about 5,000 Nevadans and help to sustain the close ties between Canada and Nevada.